Doc Kieft was not just an amazing teacher, but he was also highly supportive in Monmouth as a whole. 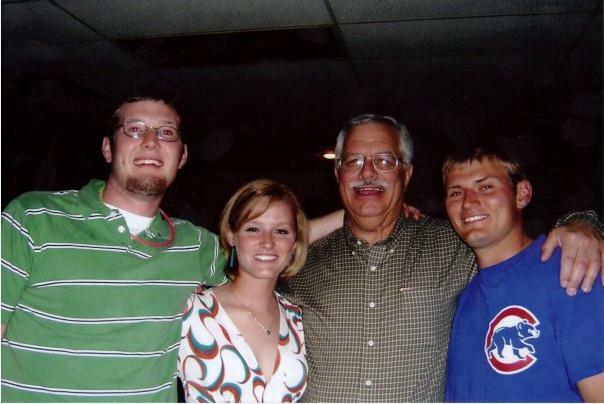 "Doc was at just about every sporting event you can think of," Lindsay Ditzler states. Doc would be prone to attending sporting events if he had a student in class that participated in that sport. He served as an announcer, timer, and scorer of many athletic contests. Also, he was a member of the faculty Athletic Committee and served as its secretary. Hoy, Daniel. Evaluation of Dr. Richard L. Kieft. 1976. Gebauer, Peter. Evaluation of Dr. Richard L. Kieft. 1976. Ditzler, Lindsay. Personal Interview. 2013. Corey White, Lindsay Ditzler, Doc Kieft, and Dr. Lee at the VFW for the "Senior Sendoff." 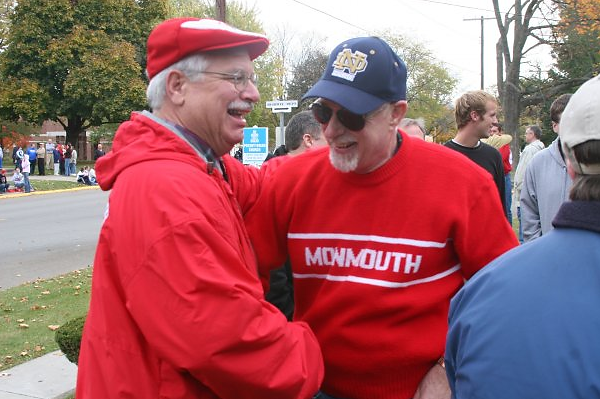 Doc Kieft greeting a Monmouth College alum at the Homecoming parade. Professor Rankin describes how Doc Kieft supported his students and was a mentor for life. Professor Lindsay Ditzler describes Doc Kieft's support for students by attending their sporting events.